The New England Wolves have once again dedicated one of their home games to celebrating the memory of John Bradley Thompson and raising awareness and research funding for The Cure Starts Now Foundation. This year’s JBT game will be held at the Merrill Fay Arena in Laconia at 5:30 PM on Saturday, March 3rd, when the Wolves battle the East Coast Wizards in an EHL Showdown. We encourage the community to come out and support the Wolves and this wonderful Foundation. There will be give-a-ways, a raffle and the popular “Not so Mini One-on-One” Shootout Competition”, where members of the greater community take the ice in between periods to compete for the coveted JBT Trophy. Check out the “Not so Mini One-on-One” Shootout Competition” webpage to help our players reach their fundraising goals. John endured a 10 month battle with DIPG back in 2013 / 2014. DIPG is a terminal brain tumor that is inoperable and leaves families with no hope. John would be turning 11 years old on the 25th of March — There was nothing anyone could do for him four years ago, so John’s family and the Cure Starts Now kindly request your attendance & support — Together, we can change the outcome for future families that are devastated with a child who is diagnosed with DIPG. The Cure Starts Now is made up of over 30 Chapters from around the globe and has quickly become one of the fastest growing Cancer Foundations in the world. The NH Chapter is run by the Thompson family in honor of John — All the CSN Chapters are run by families and fueled by Heart, Love & the Hope that a Homerun Cure for Cancer will be found. CSN has an overhead of just 3%, allowing almost every dollar to go straight to data collection and research. They are bringing the world’s best neurologists together and creating an unprecedented environment of collaboration. The money raised is spent wisely, ensuring that there’s no duplication in clinical trials and that all researchers are aware of what’s working and what’s not. Please join us at the Merrill Fay Arena on March 3rd at 5:30 PM for an afternoon of family fun, community support and some great hockey! The 4th Annual JBT Regatta was a success! We raised over $91,000 to support the Homerun Cure for cancer. 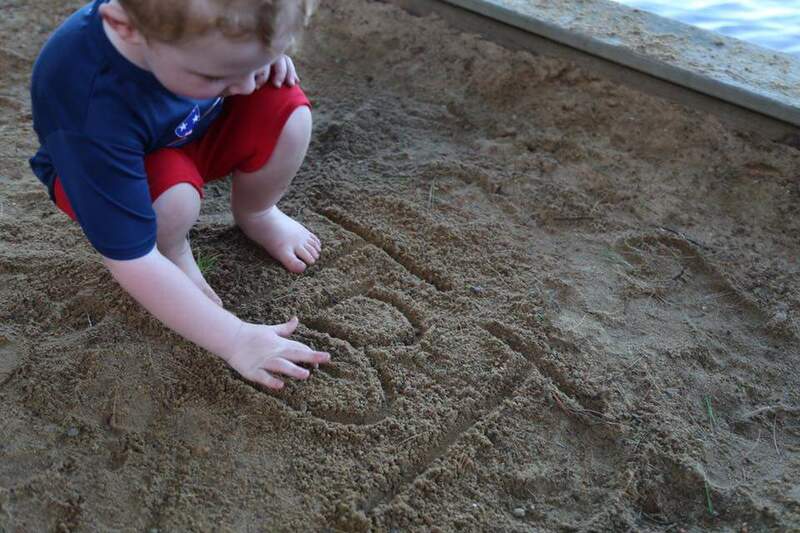 We are amazed by our community who continues to show so much heart in supporting our fight against DIPG. We thank all of you that donated and everyone that came to the WYC to share in such an incredible day. It was an honor to present WYC Member Dan Smith with the JBT Perseverance Award. Dan has shown so much positive spirit and courage in his life, just as John showed us. 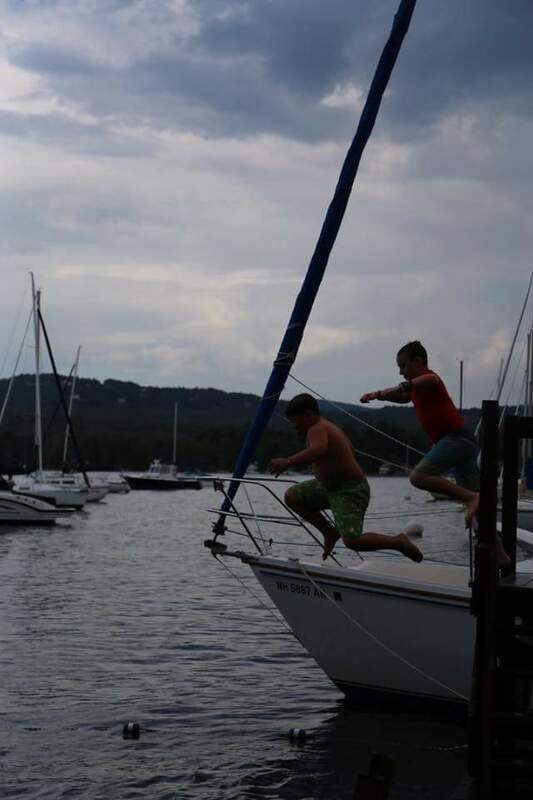 Congrats to Guy Nickerson and family crew on Pressure for taking 1st Place in the Regatta. And a huge shout-out to Conor Hayes for taking the top spot in the Sailor Fundraising Challenge! His team raised $5,100 for the Cure Starts Now! Everything’s happening at WYC tomorrow! Only 15 hours left to support your favorite boat – Click Here for Sailors Fundraising Page. 10 Days Away (July 15th)! The 4th Annual JBT Regatta is only 10 Days Away! We’re uniting perfect weather & wonderful people at WYC next Saturday, July 15th — Don’t miss out on this Mid-SummerCommunity Celebration as we remember our sweet John and raise money that’s desperately need to find the Homerun Cure for Cancer. 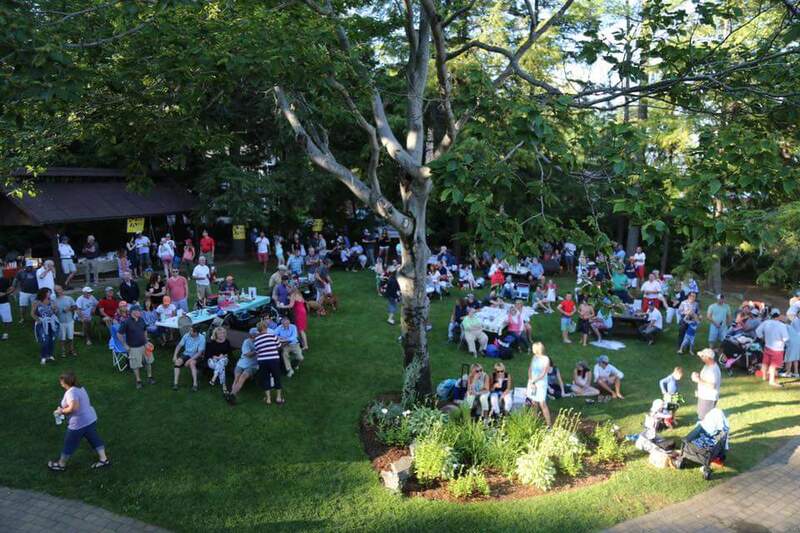 This year’s Auction is legendary: A week on Martha’s Vineyard, a Wild Hog Hunt in Texas, Kayaks, Paddleboard, Lily Pad, Skydiving, Party Bus to Fenway for 12, Pats Tickets, Cy Young Sculpture, Luke Bryan Tickets, the Infamous Welch Island Lobster Bake for 20 and so much more! 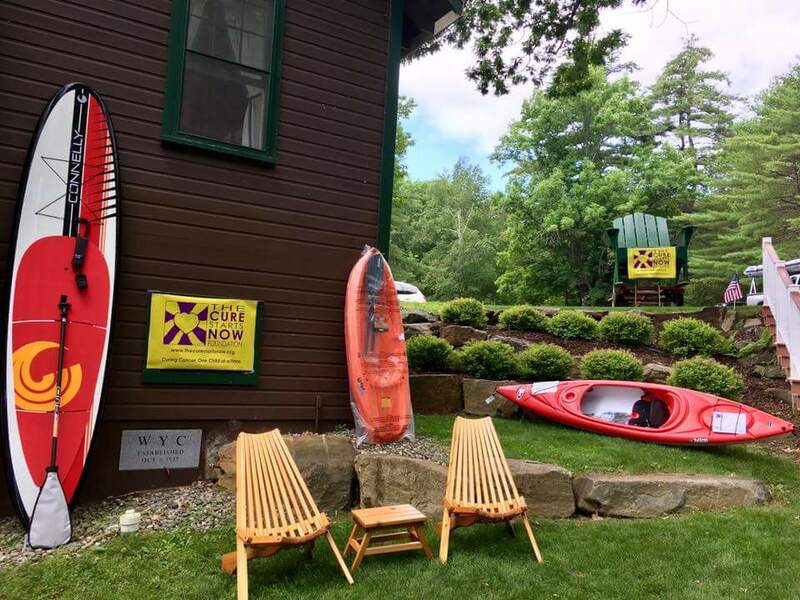 Race starts at 11:30 (skipper’s meeting at 10 AM) and the Party is from 4 – 7 PM (BYOB) — Everything’s happening at WYC, 45 Dockham Shore Road in Gilford. Please e-mail Jesse at jesse@ndprecast.com if you’re interested in donating an item for the auction. 501(C)(3) non-profit #26-0269131 – You’ll receive a tax letter / e-mail directly from CSN when you make your donation. New this Year! Sailors can raise money to earn minutes off their adjusted time: Register to be a fundraiser by clicking here. You can support your favorite Boat by clinking the same link, we’re instituting the “don’t let Jesse win” rule — If you’re not sure who to support then go with the last place fundraiser … Don’t support Jesse, he’s already too fast! 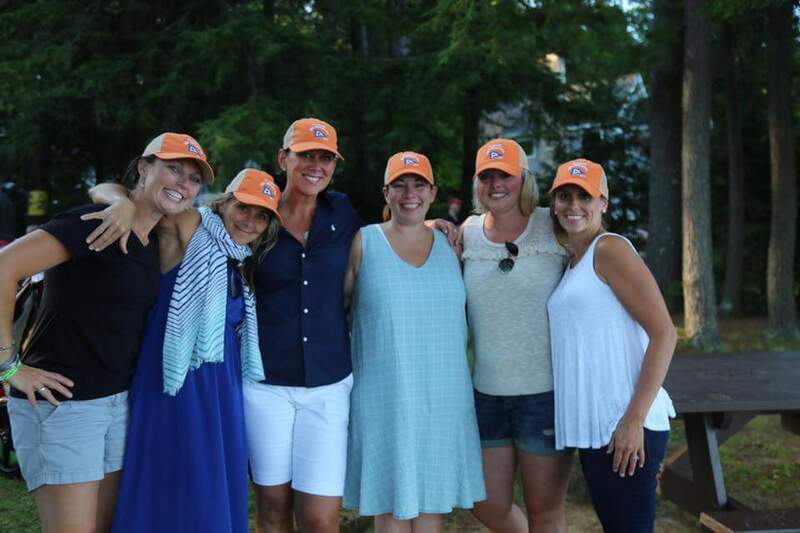 Our New Hampshire Chapter of The Cure Starts Now Foundation has raised almost ½ million bucks to help defeat DIPG and find a Homerun Cure for Cancer. This is a credit to the collective heart and generosity of our community and all those who have supported our family. Thank You and we can’t wait to see everyone next Saturday! Summer is back!! In six weeks we will continue to fight DIPG at the 4th Annual JBT Regatta & Auction in support of The Cure Starts Now Foundation. Get out your calendar and mark “JBT” on Saturday, July 15th and we’ll see you at the Winnipesaukee Yacht Club in Gilford. ALL ARE WELCOME!! Four years ago, on June 2nd 2013, John was diagnosed with DIPG. We are blessed to have received so much support and love during his 11 month fight and these three years after. 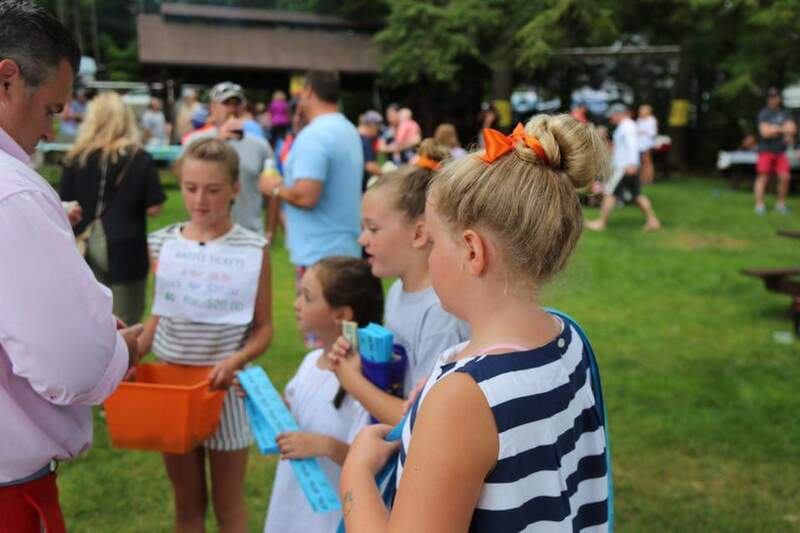 Our annual Regatta has been an incredible way for our community to come together to help to ensure that the New Hampshire Chapter continues to be an influential player in the fight against DIPG. We thank you all for keeping us and this cause close to your heart. Boats will set sail in the morning. Live music, Auction and Award Ceremony festivities to commence at 4pm. On-lookers are welcome to enjoy the WYC beach all day. 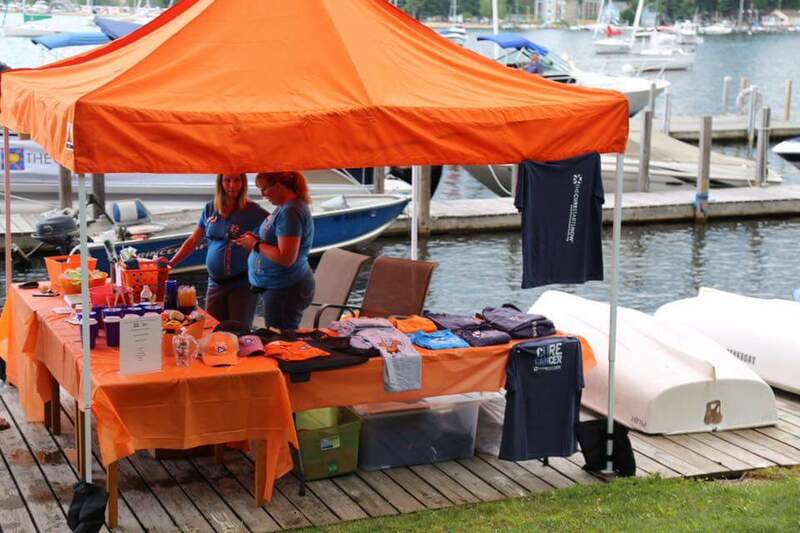 Bring the whole family to cheer on the sailors, enjoy the music, take a dip in the lake and bid on great local auction items! Light food will be served, BYOB. If you are interested in sailing, supporting the cause with an auction item or just making a donation, please email Jesse at jesse@ndprecast.com. Our family is one of many in this fight – We have committed to never give up, just like John. Please know that The Cure Starts Now Foundation is making incredible progress in finding the homerun cure. We are making a difference … Together! Saturday Night is Hockey Night! You’re invited to the New England Wolves EHL Elite JBT Hockey Game this Saturday, March 4th at the Laconia Ice Arena at 6:30 PM. The Wolves are dedicating this Saturday’s home game to John, we hope you can make it. A good friend of ours, Andrew Trimble, is the coach of these great young men and we are so humbled with their clear desire to help us raise awareness and research funds for the The Cure Starts Now Foundation. This year we have added an extra twist to our fundraising. Ten brazen adults from around the community will lace up their skates and try to score in a one-on-one penalty shot contest during the game. Check it out and donate/support the underdog: https://www.classy.org/campaign/JBT-Not-So-Mini-One-on-One/c117963. The more money they raise for the Cure Starts now, the more opportunities (more pucks) they will get to score! It will be fun for the whole family. We will have a booth set up with courage.spirit.hope t-shirts for the kids in the stands. There will be a 50/50 raffle, other give aways and we will accept donations for the Cure Starts Now. Admission to the game is $5 for adults and $1 for kids. The puck drops at 6:30. The Wolves are an amazing team, full of determination and heart. They represent the courage.spirit.hope that we stand for and we are very thankful for this opportunity. You can read more about all their accomplishments on their WOLVES WEBSITE. Please check out the New England Wolves EHL Elite Facebook page too – LIKE IT! If you have any questions or want more details, please email Jesse at jesse@ndprecast.com. 1 WEEK! Prepare to tack. 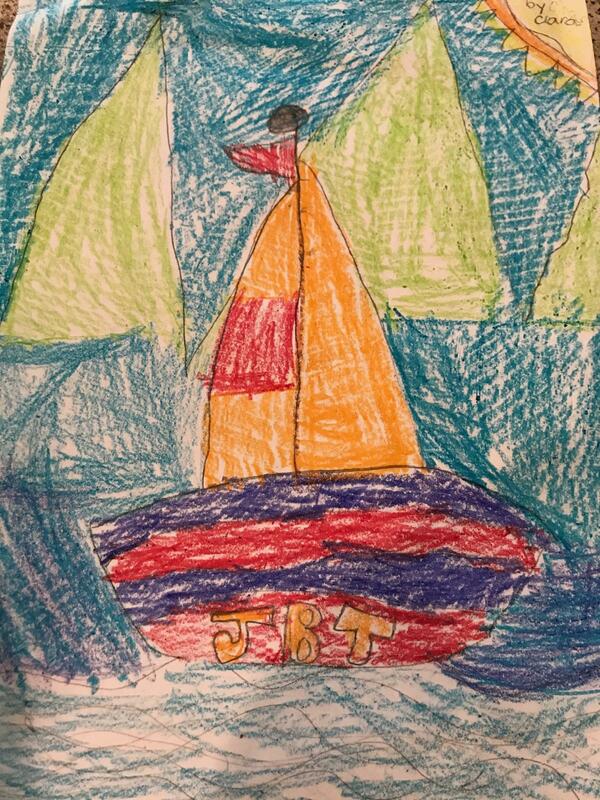 The 3rd Annual JBT Regatta is just 1 week away!! 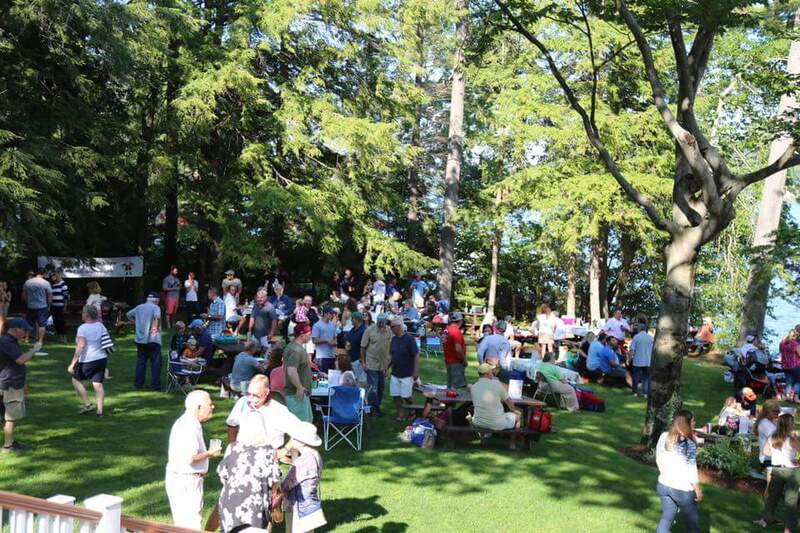 We hope to see you at the Winnipesaukee Yacht Club next Saturday, July 16th. This event supports the NH Chapter of The Cure Starts Now Foundation., in memory of our John Bradley Thompson who lost his battle with DIPG, a very rare brain cancer, in April 2014. We have an exciting list of live and silent auction items – something for everyone -including a Skydiving Adventure (with video recording! 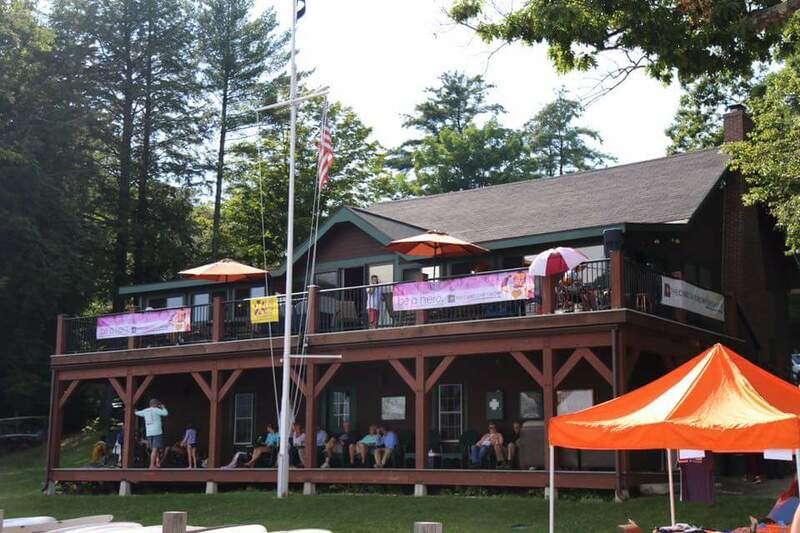 ), weekend retreat to Pittsburg NH, 12 person two day Golf Tournament, gift certificates to a variety of Lakes Region restaurants and much more! We are accepting donations in advance. 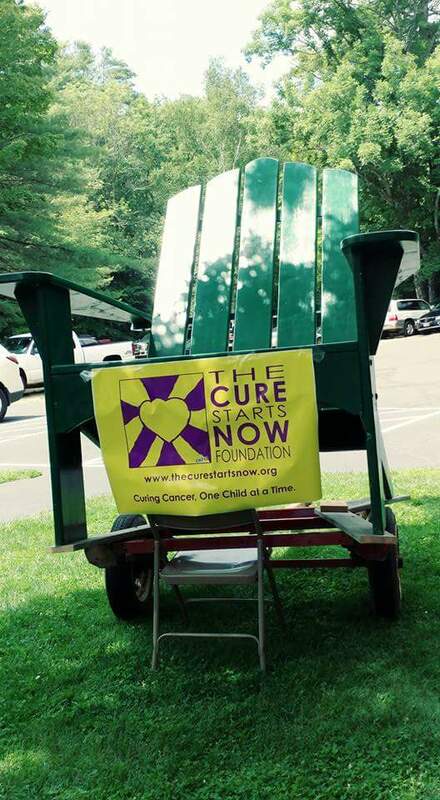 Please go to: https://thecurestartsnow.webconnex.com/jbtregatta16 if you would like to support us. The Cure Starts Now Foundation is leading the way to find a cure for DIPG, and in the process a potential Home-Run-Cure for all cancers. 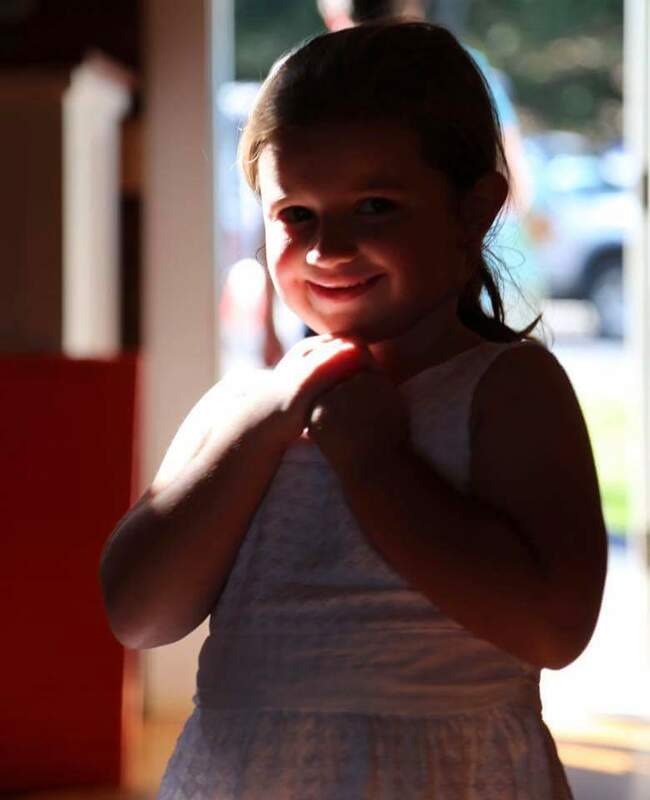 You support will help us get closer to a day that parents of a child diagnosed with DIPG will hear “cure“instead of “inoperable and terminal“. 11:00 AM: Sailors Reverse Start –Sanders Bay. During the races feel free to get out on the water to watch the action or come to the WYC for a swim and get your 50/50 tickets! 4:00 PM: Silent Auction opens and our favorite – Paul Warnick – will start the music! 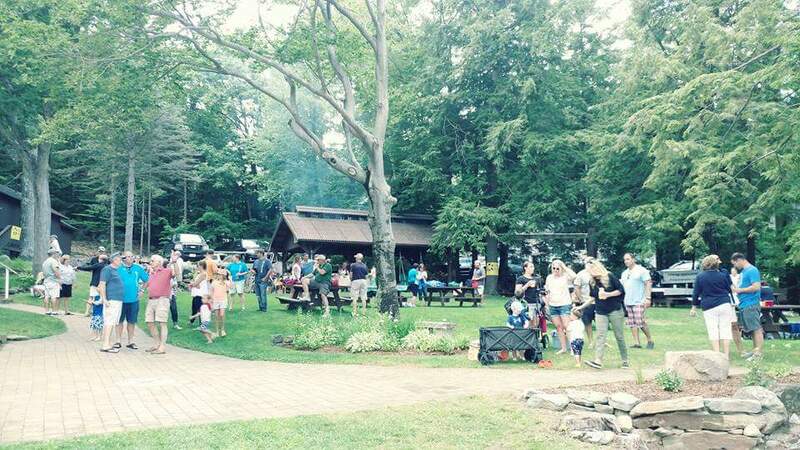 4:30 PM: BBQ is served – Donations suggested. 6:45-7:00 PM: Auction Check-Out and Thank You! See you next Saturday! Thank you all!